Gold prices surged over 2% during the day yesterday to test the highs above $1268 but fell back sharply, settling at $1247 an ounce after the ECB's meeting. Silver prices also posted a strong intraday rally gaining over 4% and posted a 10-month high at $17.67 before retreating. 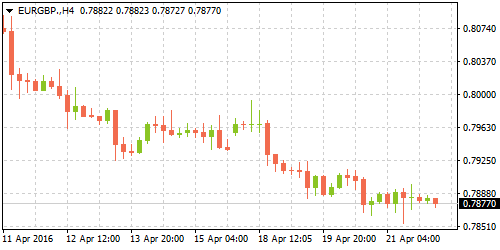 In a surprise, manufacturing business sentiment in France increased in April on upbeat orders, data from French Statistics agency Insee showed on Thursday. Business confidence in France, rose by 2 points to 104, up from March's 102 reading. The wider range of business confidence which accounts for services, wholesale, construction and retail was at 101 in April, unchanged from March's print. Insee said that while business confidence increase in the industry and construction sectors, confidence dropped in the services sector but noted that French business climate was overall stable based on the composite indicator. Swedish central bank, Riksbank left interest rates unchanged at -0.50% at its monetary policy meeting yesterday. The central bank however ramped up its quantitative easing program by adding 45 billion kronor adding to the portfolio, inflation linked bonds. The Riskbank's QE purchases currently amount to 200 billion SEK. The additional stimulus will come into effect during the second half of the year. 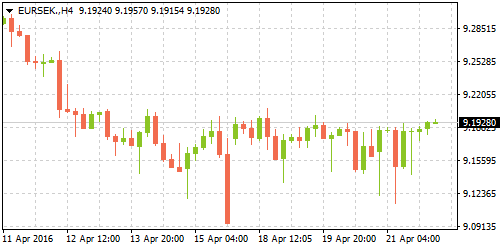 The Riksbank said in its statement that with the continuation of its accommodative monetary policy, there was scope for the SEK to continue appreciating further and at a quicker pace than initially forecasted. The central bank added that the SEK's appreciation could dampen growth and keep inflation low. It expects Sweden’s economic growth to accelerate and acknowledged that inflation had picked up but remained skeptical noting that the rise in inflation could still undershoot the bank’s target. Retail sales data for March 2016 fell 1.30% on a month over month basis, worse than expected. Retail sales excluding auto was down 1.60%, while food sales fell 1.90%, both posting the strongest declines since January of 2014, according to data released by the UK's Office for National Statistics (ONS) on Thursday. In the first quarter, retail sales in the UK rose 0.80% compared to the previous quarter of 2015. 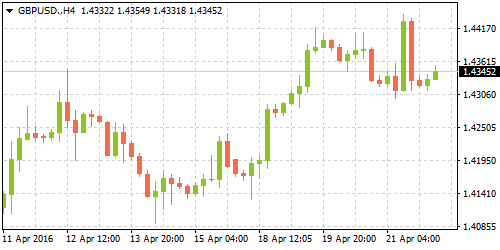 Meanwhile, in a separate report, UK's public finances data showed a March deficit of 4.8 billion GBP, slight below consensus estimates as net investment continued to decline. The Canadian dollar could come under pressure today after retail sales and inflation data are due at 1230 GMT today. Core inflation is expected to slow, rising 0.40% in March, compared to 0.50% increase a month ago, while the headline inflation is expected to pick up, rising 0.30%, up from 0.20% previously. 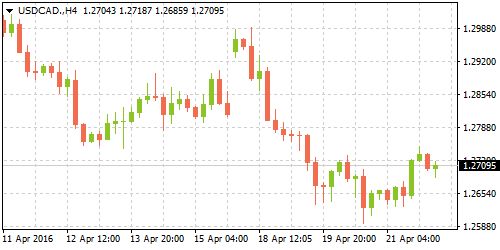 Core retail sales numbers are however expected to disappoint with forecasts pointing to a 0.80% decline following a 1.20% increase a month ago. The headline retail sales number is also expected to slip 0.80%, following a strong 2.10% increase. Earlier this week, Bank of Canada Governor, Stephen Poloz said that the central bank was closely monitoring inflation and noted that Canada might need at least three years to recover from the slump in oil prices.